I was listening to the podcast DanceSpeak earlier this week, specifically episode 97 (also available on iTunes, Google Play, etc.). Normally, the episodes consist of interviews between the host, Galit Friedlander, and someone who’s found success in the dance industry. Episode 97 was different in that it was a recording of a live panel that happened at an event called Im-Power-Meant. Toward the end of the episode, someone asked the panel why they thought dancers haven’t reached the same level of public success as other performance artists like actors or singers. As I listened to the panel’s thoughts, my brain started to explode with ideas. I actually spoke the first draft of this blog post into the voice recorder on my phone while I was running errands after work on the day I listened to the podcast. There was too much I wanted to share and I didn’t want to lose any of it by the time I was ready to sit down and write. One theory that really caught my attention was that audiences can’t understand or relate to a dance performance as much as they do to an acting or singing performance. I found this idea fascinating. Is dance really not relatable? Why? The Vulcan scientist in me likes to take a logical approach to answering questions like this, and the obvious first step was to look at the other performance art forms in which people do achieve “A-list” success. If the issue is that dance isn’t relatable, then the other art forms like acting and singing must be more relatable to the general public. So what makes actors and singers and what they do relatable? To start, actors portray characters and tell stories that audiences can relate to in some way. The character may mirror their own reality or represent someone they wish they could be. Storytelling has always been an important part of human history and evolution. Actors bring stories to life in a way that allows the audience to experience the journey along with them. The audience feels a connection to the characters because they’re getting to experience, in a way, what the character is experiencing. People relate to singers through their songs. They can learn the lyrics and sing along with their favorite singer. If you’ve ever been to a live concert, you’ve experienced the power of this connection. Everyone from the performers on stage to the crowd watching can be united by a single song. It doesn’t matter who you are or where you came from. Everyone is singing the same words and moving to the same rhythm. I’m reminded of the Live Aid music festival scene in the movie Bohemian Rhapsody. Watching the movie in the theater and even rewatching this clip now, I get a little emotional. The power of music to connect complete strangers is beyond our understanding and so strong, it can even affect someone like me who is sitting at home alone watching a clip on Youtube. Connection seems to be the common theme. People can connect to actors and singers, and with other people through the work that actors and singers do. So why can’t people connect to a dance performance? This question had me rambling a bit on my voice recording because I’ve had very strong connections to dance performances, even before I started training in ballroom. A great dance performance would have me literally leaning forward in my seat in the audience. I felt physically pulled toward the stage and the dancers who were performing. That’s how strong the connection was for me. It wasn’t about being able to relate to the skill or technique of the dance itself. If I’m watching a ballet performance, I don’t know the names of the moves that the dancers are executing or understand the technique behind them. I know even less about hip hop, but I’ve seen live and recorded performances that made me shout “yaaass!” Despite my ignorance, I still feel connected in some way to the dance. Someone gave an example on the panel of a b-boy wanting to do a series of power moves in a section of his group’s performance, but he’s told he needs to just pick one power move because if he does all of them, the audience won’t get it and he won’t get any applause. Having no knowledge of the moves listed, I have no way to assess if that’s indeed true and learned from past experience or if it’s an assumption. And so I have to wonder! Do I connect so easily to dance performances just because I’ve always been a dancer in my heart and soul and therefore relate to the essence of the dance, in any form? Why can’t others relate or connect? I went back again to how people connect with actors and singers. It’s through the shared experience. An audience watches events unfold around a character as the character is experiencing them. When something surprising happens, both the character and the audience are surprised. An audience gets to share in a singer’s experience when they sing along. It’s like they get to be part of the performance. In dance, there are two experiences happening – an external one and an internal one. The external experience is the main one that audiences share. It’s the physical movement choreographed to music. The internal experience is what one feels inside their body, mind and soul when they dance. This dual experience raises an interesting thought in my brain. As an actor, you need an audience in order to act and feel fulfilled. As a dancer, you don’t need that audience to feel fulfilled. You can be alone in your living room and have a profound experience through dance. No one needs to witness it. I think the challenge for dancers is bringing the full dualistic experience of the dance to an external place where the audience can connect to it. So then the audience can share in the dancer’s full experience, at least to some degree. If the audience just experiences the physical movement timed to the music and some trained expression on a dancer’s face, they may be impressed but the performance is less likely to capture their attention. Someone else on the panel commented that dance is so often just about the dance. I think this speaks to the internal experience. Dance is so much about self-discovery and sometimes you do a move just because you want to see how it feels. It’s an amazing process, as anyone who has danced can attest, but it leaves the audience out. If you don’t include the audience, they won’t be able to relate. I think we’re getting somewhere. If dance isn’t as relatable as a performance art form like acting or singing, the reason is routed in the fact that dance includes an internal experience that the audience doesn’t always get to be a part of, which limits the connection they can feel to the dancer. So the next question is how can we make dance more relatable? How can we connect the audience to the full experience? I’ll tackle that one in Part 2. I think relatability has a bit to do with our own perceptions of our ability to do the thing in question. We all act, in some form, throughout most of our lives; we all sing in the shower or the car, so we all believe we can sing. Dancing is one of those things that seems more out of reach– which is why I think shows like Strictly Come Dancing and Dancing With the Stars because so wildly popular. Because you saw people that a) were accomplished in their everyday lives, reduced to absolute beginners (ergo, level playing field) and b) you saw those beginners able to learn and accomplish amazing things by the end of ten weeks. 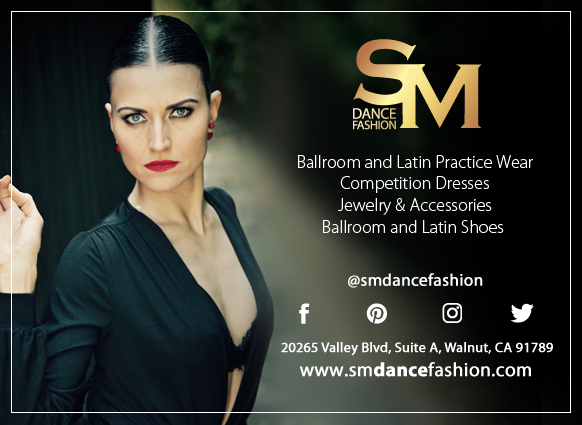 It’s not such a coincidence, then, that interest in ballroom and enrollment in ballroom classes soared after those shows became popular. I’ve seen the same thing happen with figure skating, especially in Olympic years, where enrollment in learn to skate classes increases in the wake of the Games. That’s a good point too. I wonder if that leaves the rest of the dance industry kind of screwed then? Ballroom is unique in that you can learn to dance in the 1st lesson, even if it’s just a poorly executed box step. You’re still moving to the music. Other dance forms require more instruction before movement recognizable as dancing happens. But that’s what I’m tackling in part 2 – how can we help the audience connect to the dance, even if it goes beyond what they believe they could ever do?